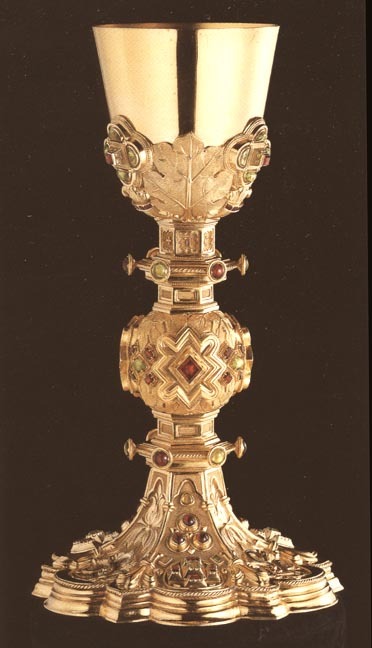 Chalice by Castellani and Sons, Rome. I would like to thank Susan Weber Soros, Director of the Bard Graduate Center for Studies in the Decorative Arts, Design, and Culture, which holds copyright on this image, and the owners of the original object, for sharing this image with the Victorian Web. Soros, Susan Weber, and Stefanie Walker. The Castellani and Italian Archeological Jewelry. New Haven: Yale UP, 2004. Cat. no. 15.